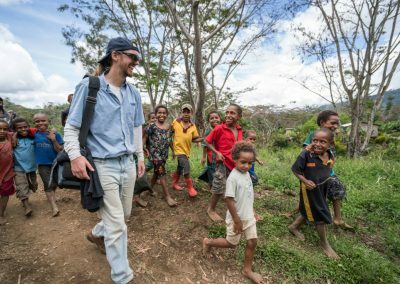 CRMF stands for Christian Radio Missionary Fellowship. Sounds a lot like MAF (Mission Aviation Fellowship) right? 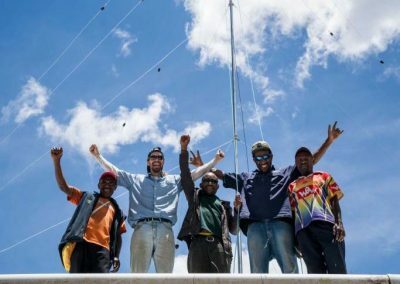 We operate under the umbrella of MAF as a program in PNG. 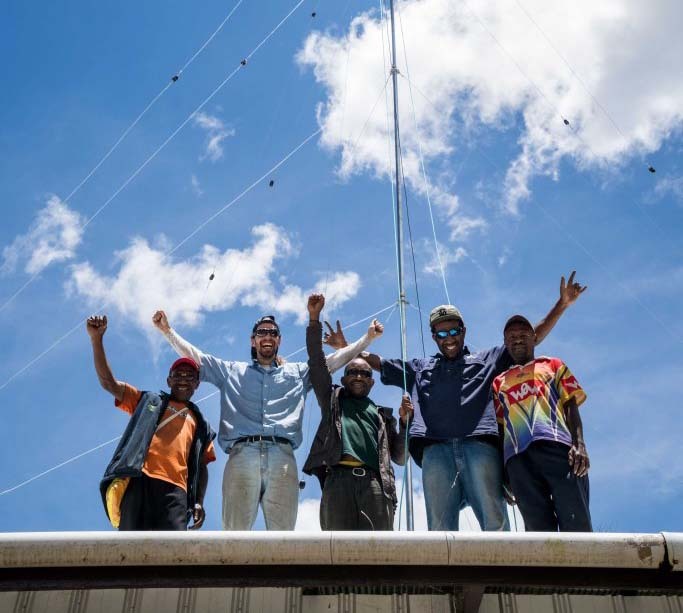 Our goal as a mission is to provide quality technology and support to churches and missions in PNG. CRMF offers a variety of services. 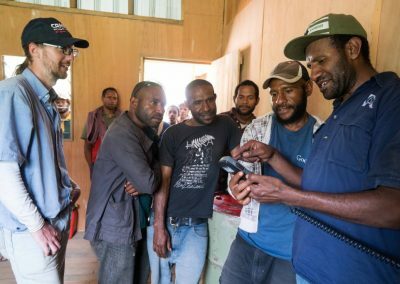 One of our main services is installing HF radios in the remotest parts of PNG, providing isolated people with the means of communication. 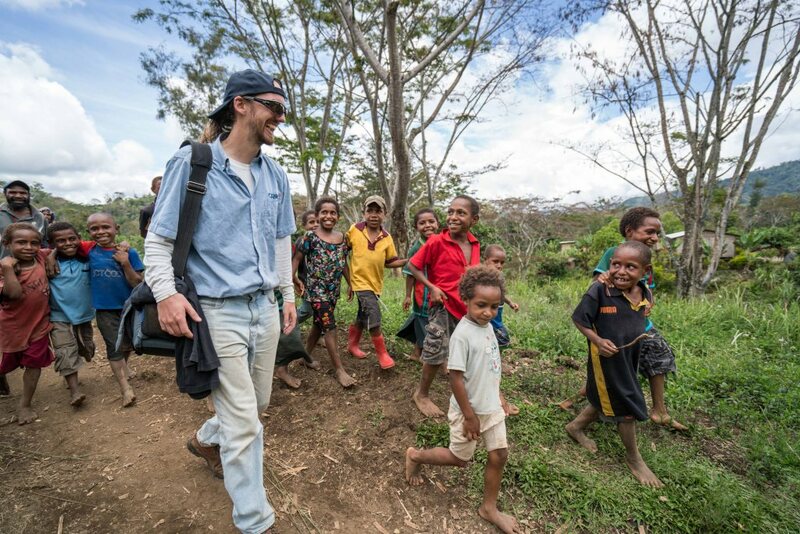 PNG is very mountainous and most often there is no reliable transportation from the jungles to the towns/cities. We monitor our channel 24/7 and help organize medevacs with MAF. We have been able to help save hundreds of lives. This lady started having complications with her pregnancy. 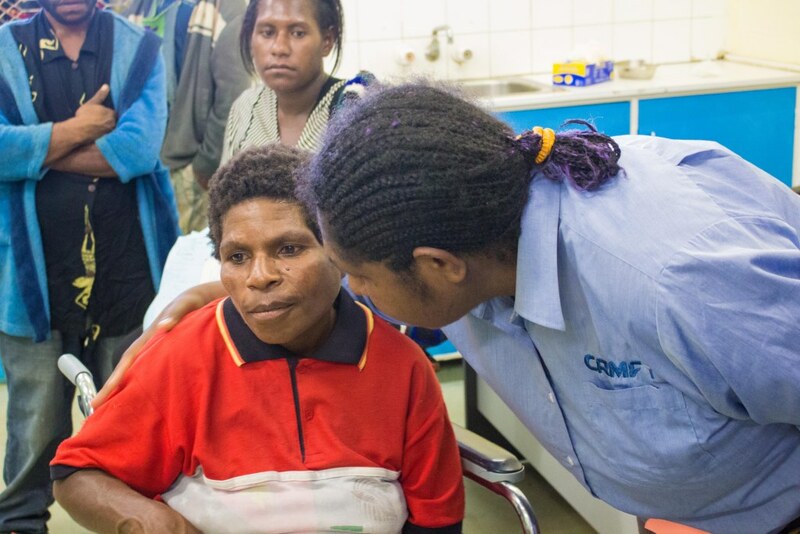 Due to her history of having miscarriages the remote village radioed in and asked us to medevac her out to the Goroka hospital. We contacted MAF and she was flown in. The following pictures are of a radio install we performed at a remote village school in the highlands. The education department needed a way to communicate with the teachers. So CRMF was contacted. 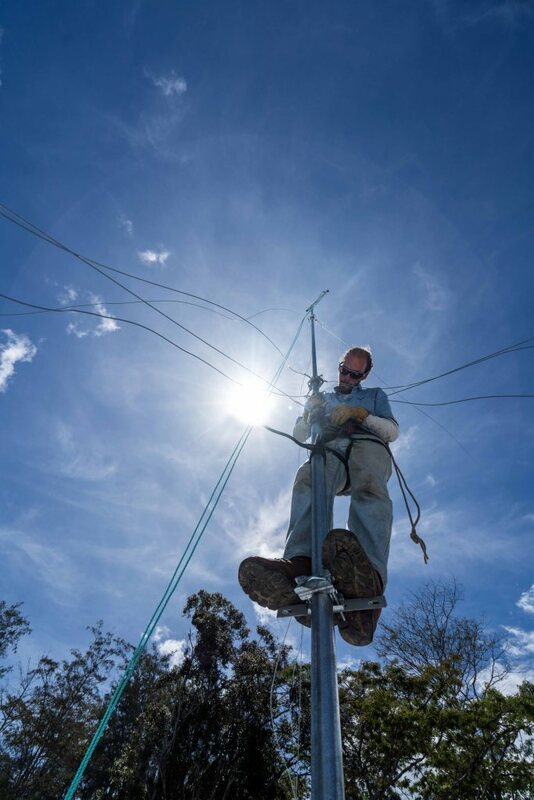 CRMF HF Radio installation at Guasa. Joey Redhead on his way to install radio. 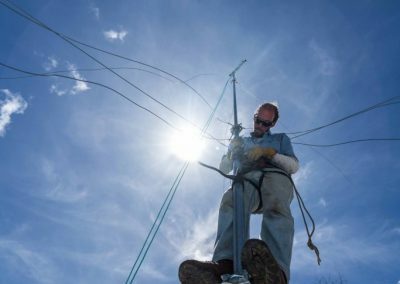 Joey Redhead busy installing the radio tower. 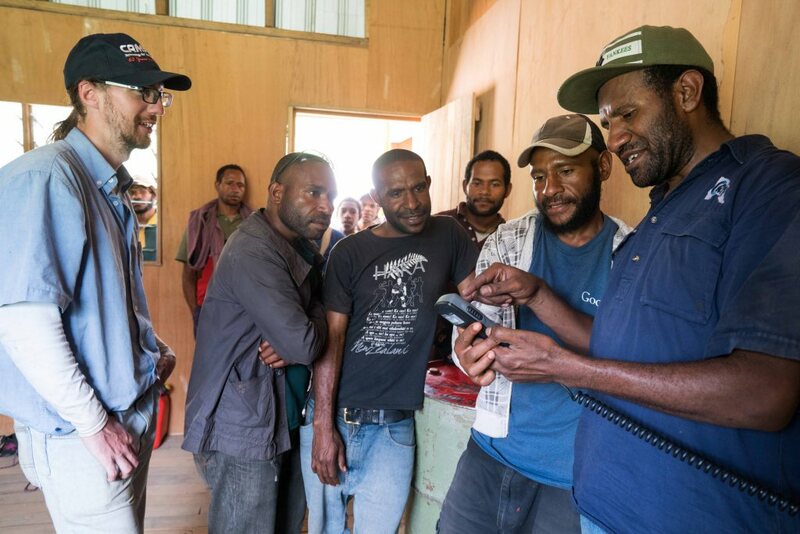 David Feka showing the locals how to operate the radio. 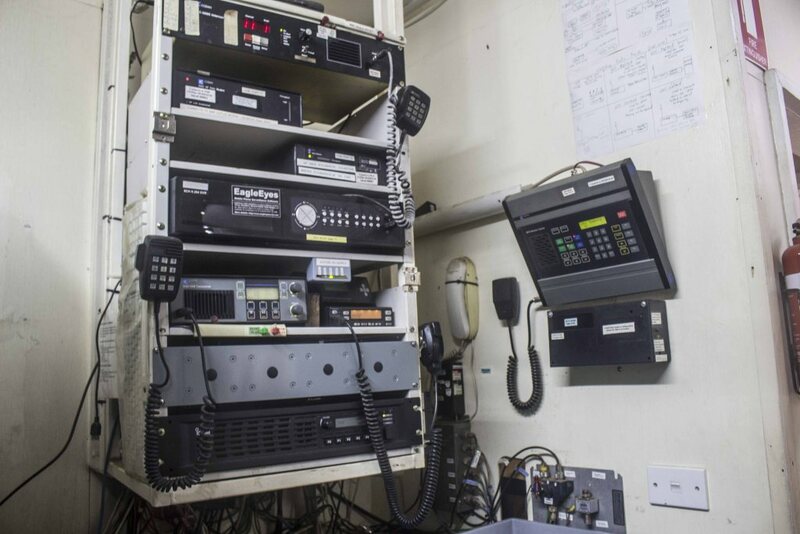 CRMF main radio control center is located in Goroka. During work hours CRMF monitors the radio. After hours staff members are required to help with monitoring duties. 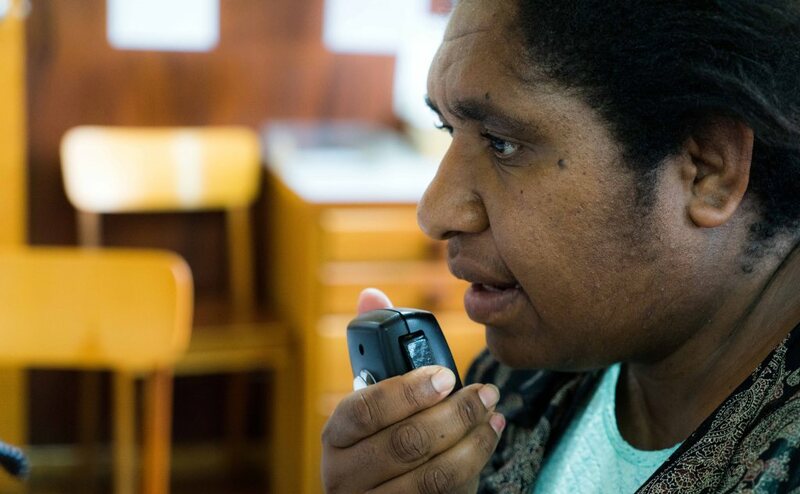 This means we monitor the radio all day, night, and even during the weekends to assist with any emergencies in Papua New Guinea that get called in through our radio frequency.